Soon the most annoying thing in your Facebook messages won't be that guy you've never heard of who sends like 10 friend requests. Instead, it will be ads. Lots and lots of ads. 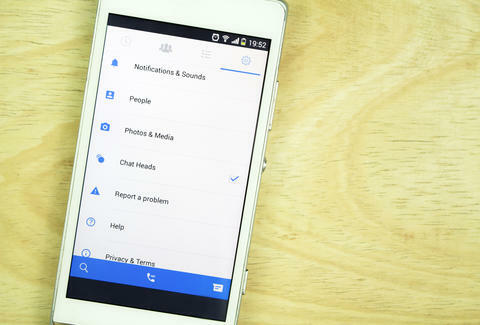 According to Tech Crunch, Facebook will soon let companies advertise via Facebook Messenger. Now, this is coming from what Tech Crunch says is a "leaked document sent to some of Facebook's biggest advertisers" and not a formal announcement from Facebook. Keep that in mind. But the report claims Facebook will begin allowing businesses to advertise on Messenger starting in Q2 of 2016. As in April. This doesn't mean that businesses will be able to send users ads whenever they want. That would be bold. A Facebook user must first initiate contact with a given company. But after first contact is made, the company can send ads to a user's inbox. To make users more apt to message companies, Facebook will launch a short link (fb.com/msg/), giving users an even easier way to contact businesses. That's a vague answer, hinging on how Facebook defines "unwanted messages." However, Facebook did confirm that some business partners have started using that Messenger short link. If it's all true, this will be the most annoying thing to happen to Facebook Messenger since the detestable "seen" feature. Damn that "seen" feature. Kara King is a News Writer at Thrillist and hates being seen. Send news tips to news@thrillist.com and follow her at @karatillie.